After Nintendo’s Super Smash Bros. Ultimate Direct last week, Smash fans have been going wild about all the reveals. New modes! All the music! King K. Rool! Yet, one major question echoed across the Internet at the presentation’s conclusion: What’s beneath the blur? 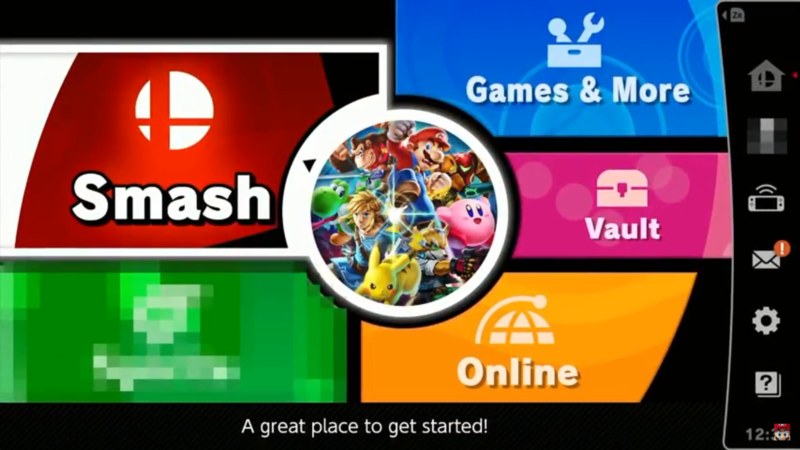 Toward the end of the video, we were given a glimpse at the main menu, yet the name of what Nintendo has confirmed to be a mode yet to be revealed had been blurred out. Well, fans, wonder not, for your question may have been answered. Twitter user l’attardé immediately took to unlocking the mystery, using his knowledge of VFX. By going frame by frame through the video, he discovered a word hidden beneath the pixelation: “Spirits.” But what does it mean? Is it some new form of Single-Player Mode (please…)? After all, we did see Mario and Mega Man’s demise at the hands of Ridley during E3, and now, we’ve seen Luigi fall. Is Nintendo teasing something we’ve never seen before in Smash? Are you really going to make us wait until December 7th, Nintendo? Come on, we gotta know! What do you think “Spirits” could mean? Or do you think the discovery might be off the mark? Let us know in the comments below!